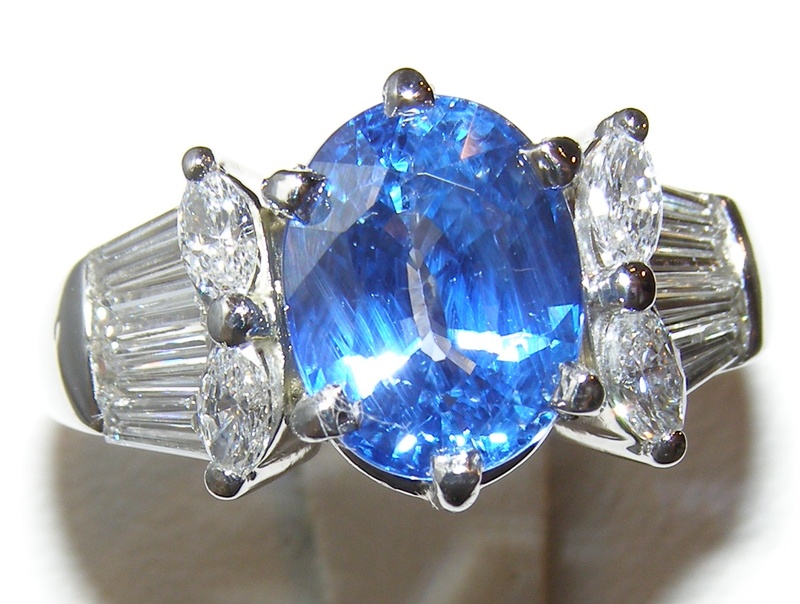 This astounding large 5.00 carat sapphire elicits text book Ceylon cornflower blue color that is medium in saturation. 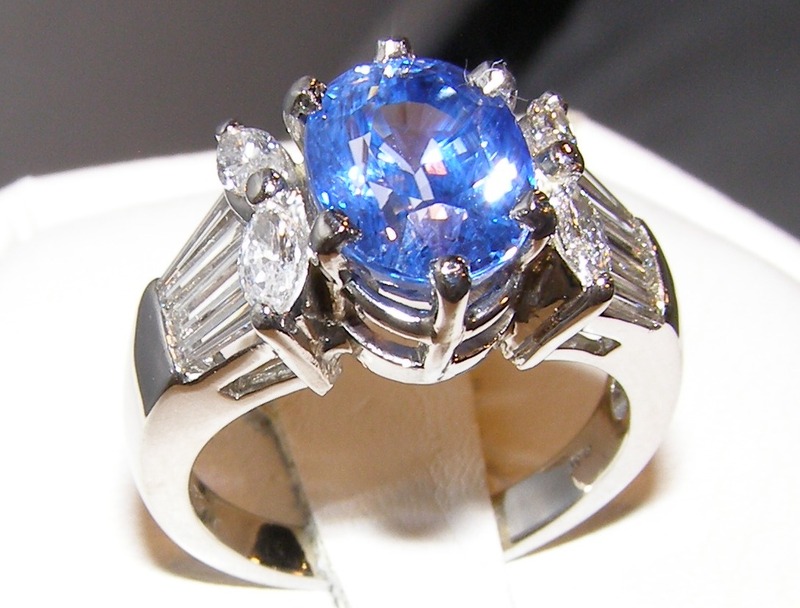 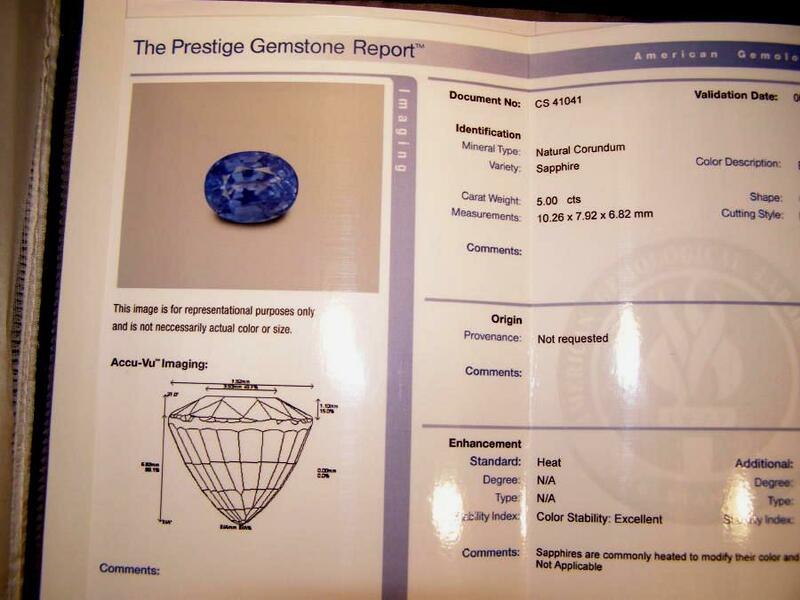 The large world class sapphire measures 10.26 X 7.92 X 6.82 mm and is set in heavy four prong platinum basket. 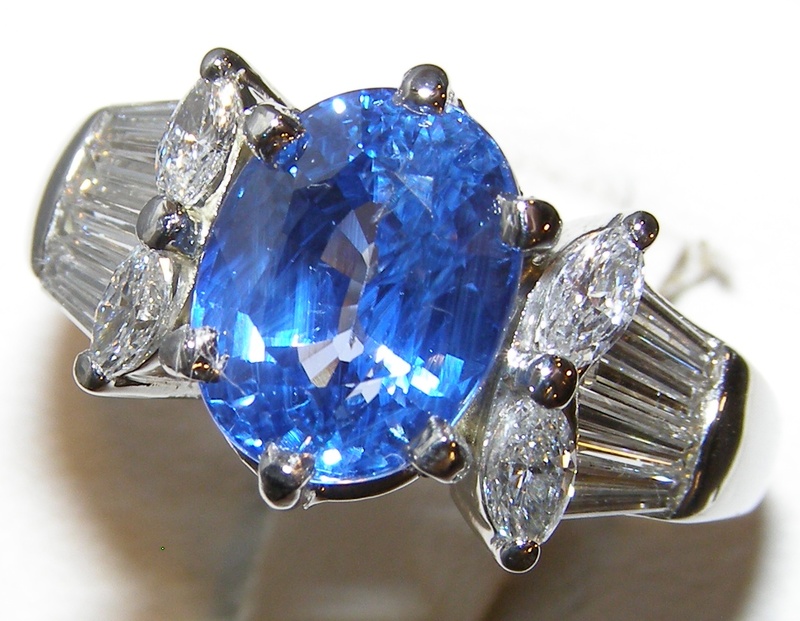 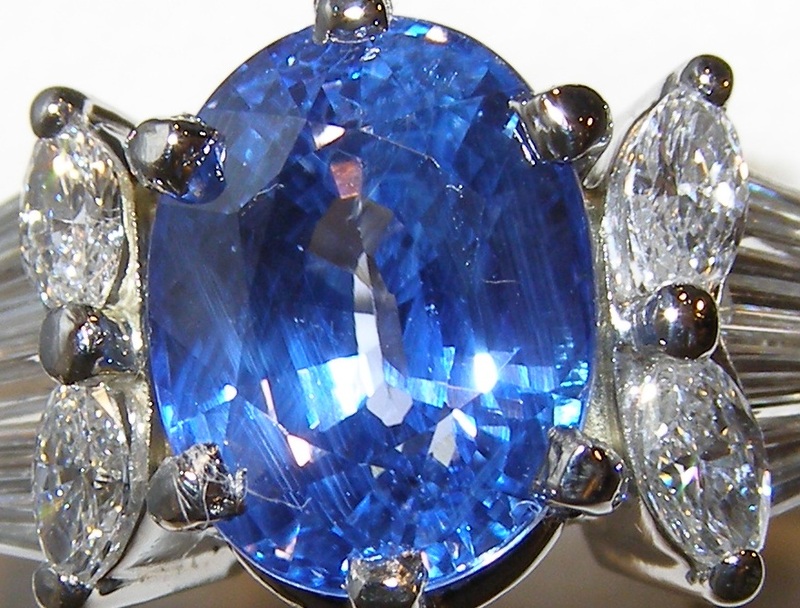 The sapphire has excellent clarity and cutting and spectacular super bright blue brilliance. 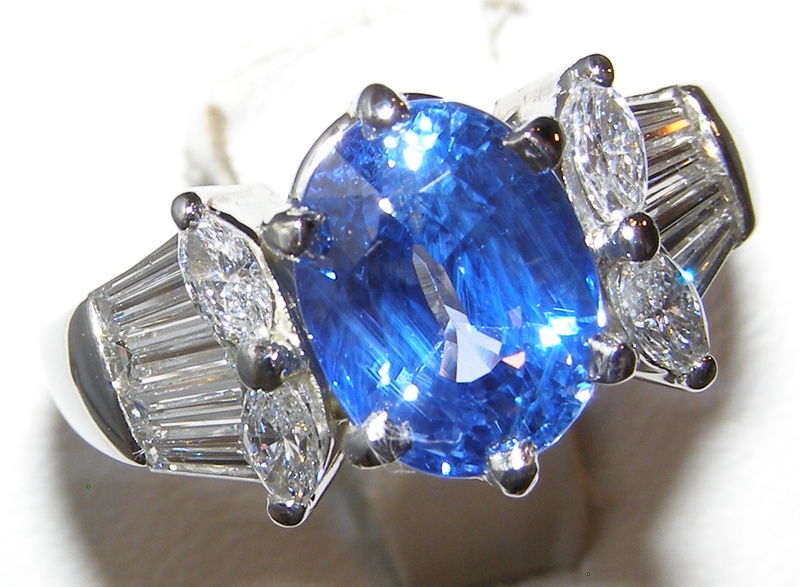 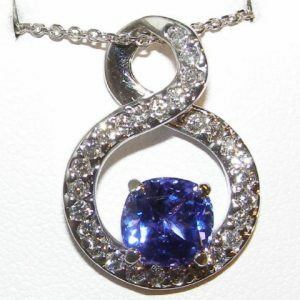 Most notable is the sapphire’s excellent color and luster/brilliance. 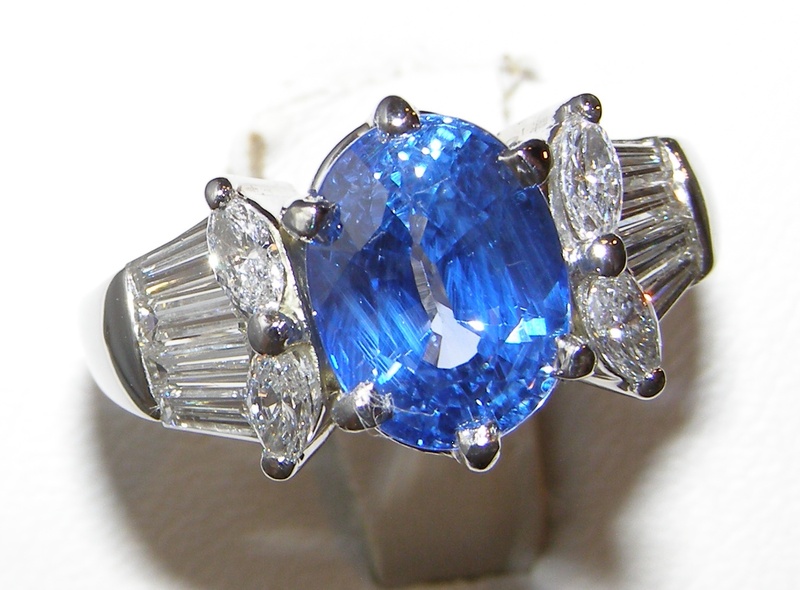 The sapphire is set in a high quality platinum mounting. 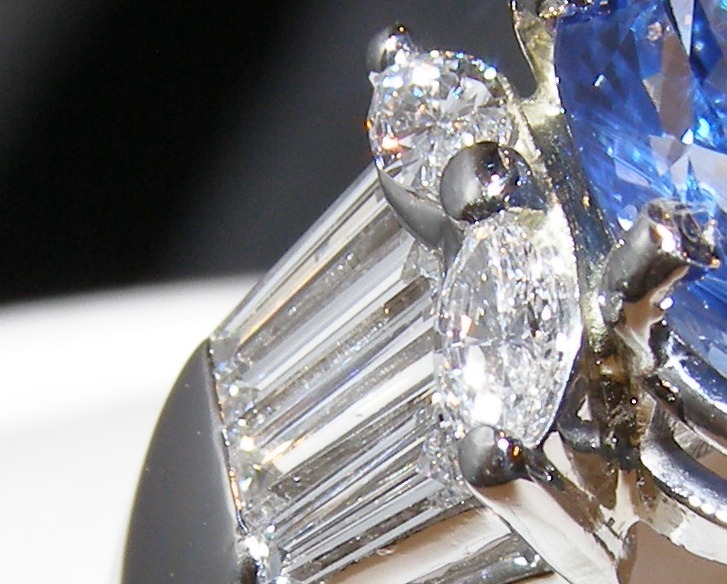 It has 1.50 carats of prong set marquis and channel set baguette cut diamonds of superior quality with VS1 F grades. 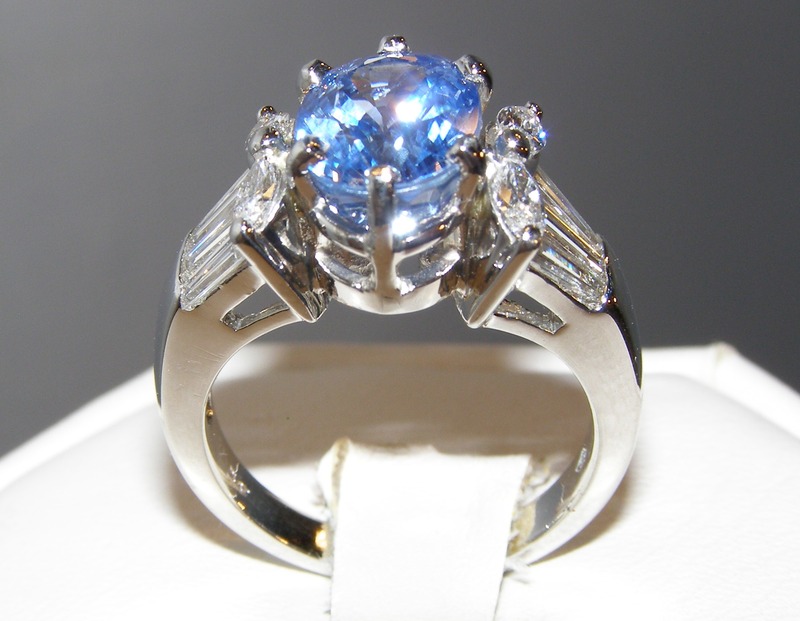 The ring weighs a substantial 12 grams of platinum and is a size 7 1/2. 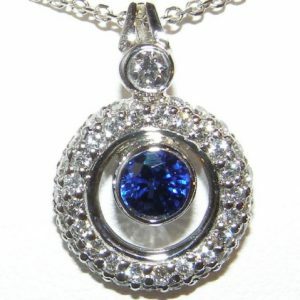 Please let us know your size preference in the comments section of the order form.